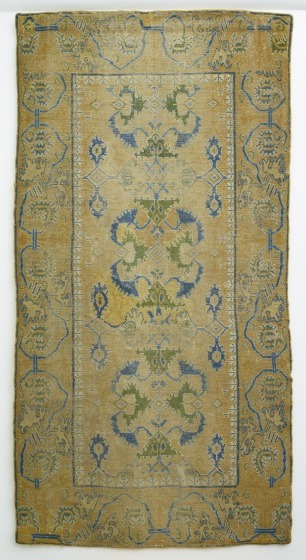 Wendy and Emery Reves's interest in textiles was wide ranging and one of their most distinguished accomplishments, in terms of their textile collection, was in the area of rugs. In total, the Reveses assembled a fine group of approximately thirty rugs during the 1960s and 1970s. The collection remains mostly intact, with twenty-four examples in the Dallas Museum of Art. Learn more about the origin of Alcaraz rugs in Spain.